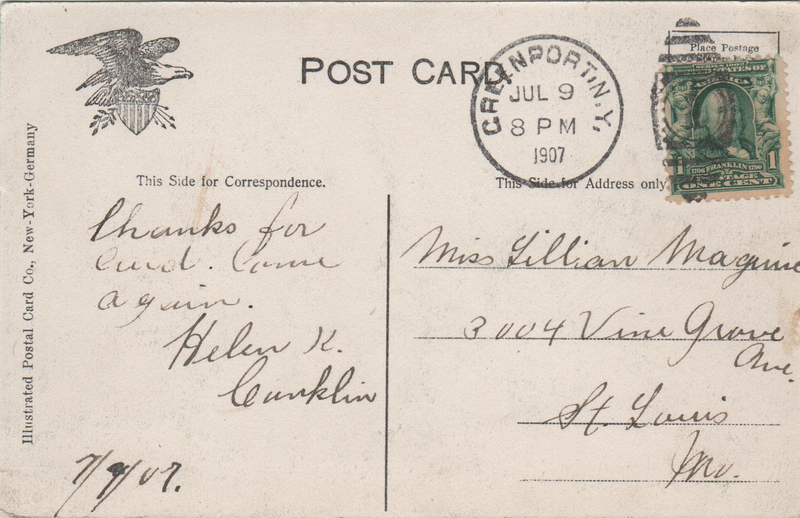 Addressee: Miss Lillian M. Maguire, 3004 Vine Grove Ave., St. Louis, Mo. 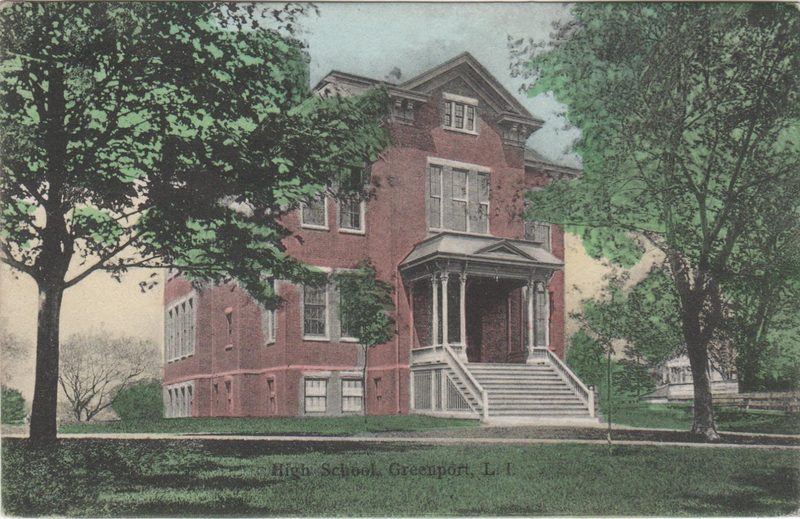 To be featured on a postcard, this wonderful brick high school must have been a notable building in Greenport on Long Island in New York state back in 1907. When I searched Google Maps for the high school in Greenport, the current high school resides in a handsome but newer building built in 1933. Come again? So, Miss Lilian must have gone on a trip! And upon her return from this trip (which included Long Island), she sent a card of thanks to Helen. We don't know if Helen is a friend or a relation. But that formal signature of a full name by Helen K. Conklin makes me think she was an acquaintance rather than family.